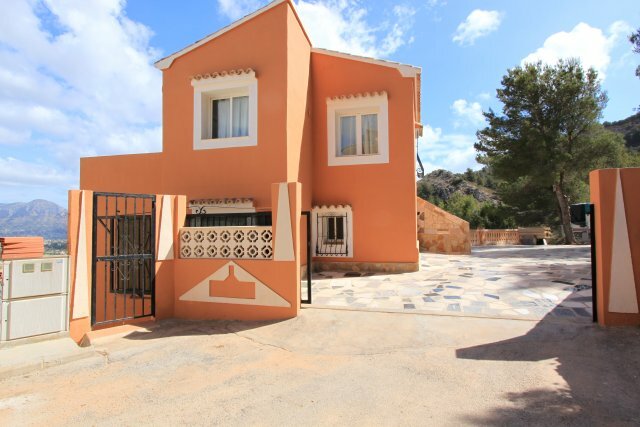 Situated on the popular Los Alcazares urbanisation in the Golden Valley area of Benitachell, this well maintained detached villa with sea views has three bedrooms.A small walled and gated front garden leads to the entrance porch. Accommodation on the main level comprises of a hall with guest toilet and shower. The lounge with patio doors to a covered terrace has a feature fireplace with log burner. The dining area next to the fitted kitchen has patio doors to the good sized terrace where there is a sea view.A staircase leads from the hallway downstairs to a family bathroom and three double bedrooms, each with fitted wardrobes. There is also a large utility and store room.The property benefits from hot and cold air conditioning, ceiling fans, mains gas and is double glazed throughout. 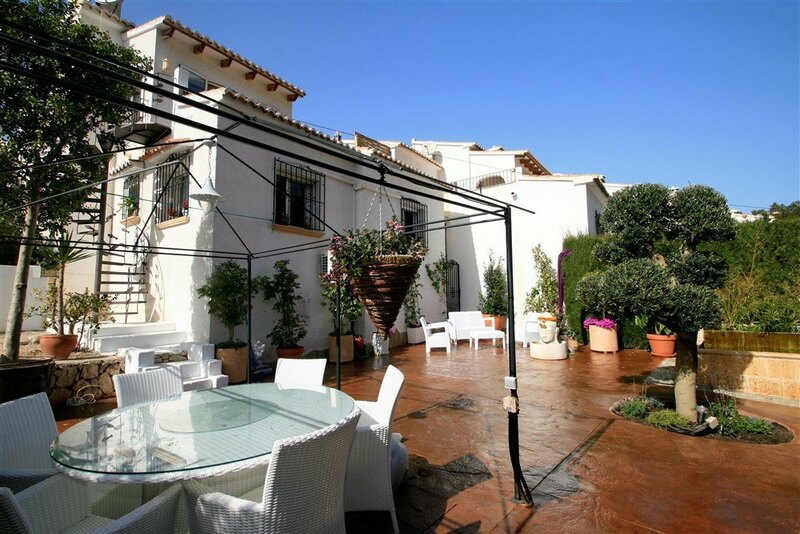 Externally, there is a private garden with mature shrubs.The well maintained community pool and garden area is just a few metres away.The Los Alcazares urbanisation of just 46 detached villas is a short drive away from large supermarkets and the town of Benitachell. 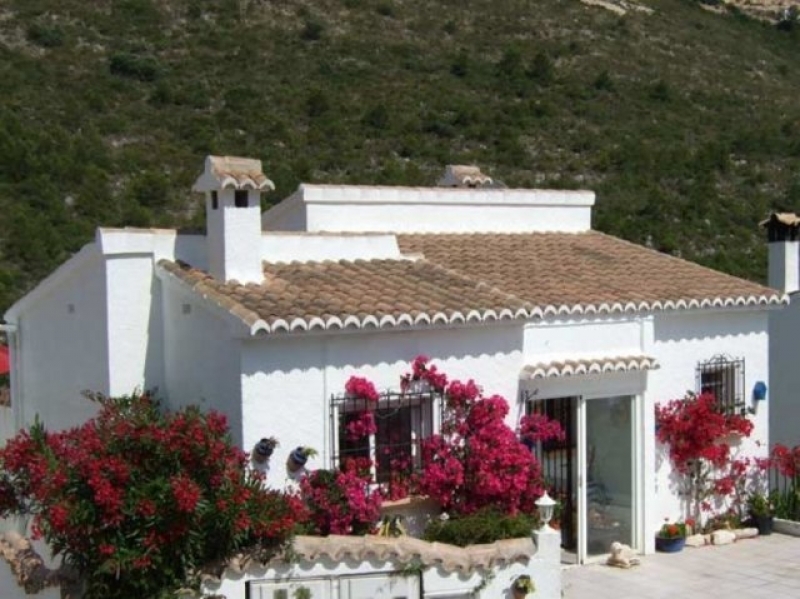 The beach of El Portet in Moraira is 3km away.